The First Day of School!!!! 12 hours and counting until the 2 children who live in this house are back at school! Hannah is so stinkin’ excited she can barely contain herself. Jon, not so much. He is dreading it and will probably fight going to bed tonight like we have never seen before. Like he can postpone school by not going to bed. I really don’t know what he is trying to accomplish by acting out at bedtime. I mean, come on, he is 12 and knows the program. What, are we all of a sudden going to say “Fine, stay up and skip school!”? So, being the nice mother that I am, I am going to make sure that my kids start the day off right with a nice, warm breakfast. 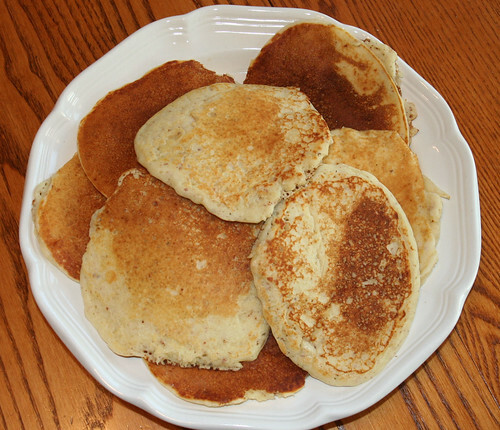 I made a huge batch of gluten-free pancakes on Monday from Pamela’s Baking & Pancake Mix. I used milk instead of the water it called for. I let them cool and then froze them in individual serving packets (Jon eats 3 at a sitting). He can then heat them up in the microwave all by himself. 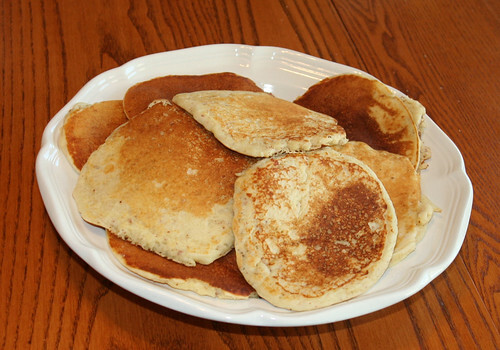 Hannah likes these pancakes too, but isn’t a huge breakfast eater. I see her eating a few bites of cereal, drinking some milk and going on her merry way. Now, I will probably have some of my newfound love, Lara’s GF Oatmeal. I wasn’t a huge oatmeal fan before going gluten-free. 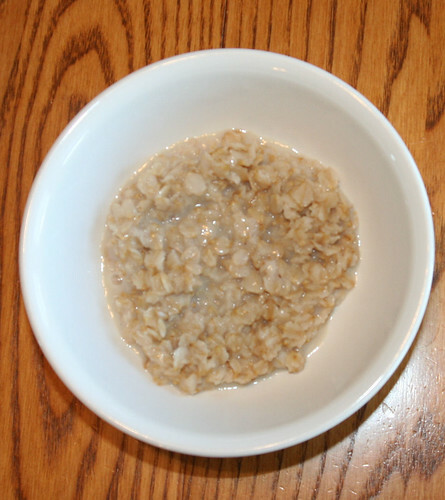 In fact, I don’t recall ever eating oatmeal, except for my Mom telling me I ate it as a baby. Well, in my quest to eat healthy, I thought I would give it a try. At the very least I could make granola out of the oats or use them in cookies if I hated the oatmeal in hot cereal form. So, I tried them the other day…WOW…I was impressed. 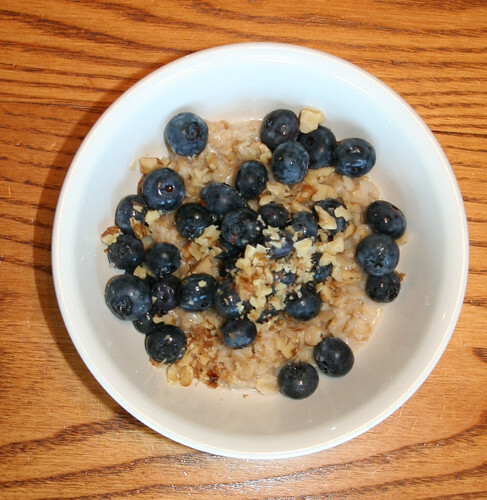 I used 1/4 cup of oats, 1/3 cup of water, 1/3 cup low-fat milk, 1 tsp brown sugar, dash of vanilla and topped with 1/3 cup blueberries and a sprinkle of walnuts. YUM!! Here is a nice picture to show you what I will be doing again for breakfast tomorrow! I do need to add that not all people with Celiac disease can tolerate oats. So far I don’t seem to have any issues with it, surprisingly since my stomach is very sensitive. Jon won’t try them, so I don’t know how he would react, as he is the super sensitive one. So as I drift off to sleep tonight, I will be dreaming of my nice hot breakfast together with my kids on their first day of 1st grade and 7th grade. Sniff, sniff.